Who are the Mad Chatters? 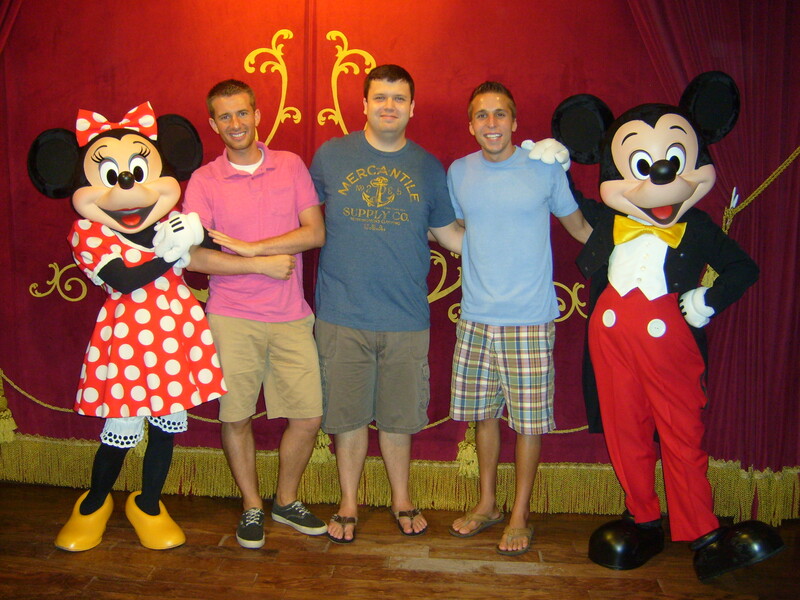 My fellow Mad Chatters Matt and Jeremy and I have been fans and frequenters of Walt Disney World for many years. We wanted to create a place where we could freely talk about that magical place we all love, and we wanted to include other fans in the conversation. On this site you’ll occasionally find our thoughts on things we love about the parks (resort dining!) and things we’d love to see go away (Stitch. Always Stitch.). You also might be able to read a few stories from our past trips or see pictures from our upcoming trips. If you came here on purpose, we trust that you, too, share our passion for all things Disney, and we hope you enjoy our virtual travels around the World. Most importantly, we hope you will look for our first podcast, coming soon to an Android/iPod/bendable iPhone 6 Plus near you. There you can join our discussions, debates, gushings, and the occasional rant about Walt Disney World and the rest of the Disney universe. Until then, start thinking about what you want us to talk about, and send your ideas to comments@madchatters.net. Remember, no ideas are stupid or crazy. After all, most everyone’s mad here.